I see at least four methods that God uses to lead us in his will. I put them in four D’s to help me remember them. (1) Decree. God sovereignly decrees and designs circumstances so that we end up where he wants us to be even if we don’t have any conscious part in getting there. For example, Paul and Silas found themselves in jail, and the result was the salvation of the jailer and his household (Acts 16:24–34). This was God’s plan, not Paul’s. God does this often—putting us in places we did not plan or decide to be. This is the leading of decree. It is unique above the other three leadings because it includes them (since God’s decrees include all our decisions) and because it happens infallibly (since “no purpose of [God’s] can be thwarted” [Job 42:2]). The other three leadings of God involve our being consciously led. (2) Direction. This is simply what God does for us by giving us the commands and teachings of the Bible. They direct us specifically what to do and what not to do. The Ten Commandments are one example. Don’t steal. Don’t kill. Don’t lie. The Sermon on the Mount is another: Love your enemies. The Epistles are another: Be filled with the Holy Spirit. Put on humility. This is the leading of direction. God reveals his directions in the Bible. (3) Discernment. Most of the decisions we make are not spelled out specifically in the Bible. Discernment is how we follow God’s leading through the process of spiritually sensitive application of biblical truth to the specifics of our situation. 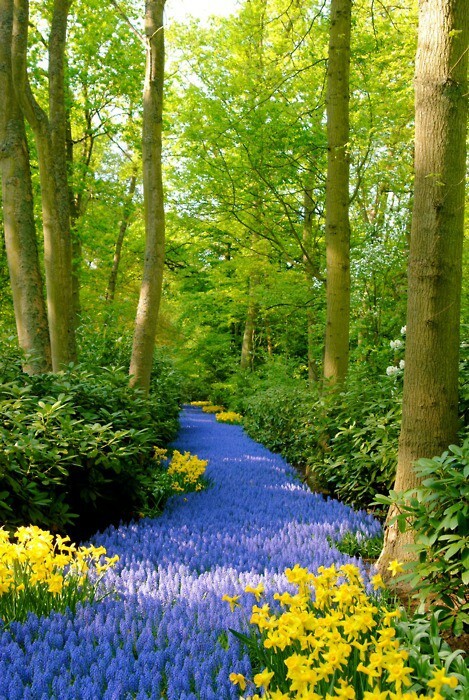 Romans 12:2 describes this: “Do not be conformed to this world, but be transformed by the renewing of your mind, so that you may prove what the will of God is, that which is good and acceptable and perfect.” In this case, God does not declare a specific word about what to do, but his Spirit shapes the mind and heart through the Word and prayer so that we have inclinations toward what would be most glorifying to him and helpful to others. First, we should always rest in the decrees of God. They will always be for our good if we love him and are called according to his purpose (Romans 8:28). This should remove worry from our lives and put us at peace as we seek the directed, discerned, and declared leading of the Lord. Second, there is the implication that God’s leading of decree may bring about acts that are contrary to his leading of direction, discernment, or declaration. In other words, he may direct, “Thou shalt not kill,” but decree the murderous death of his Son (Acts 4:28). There are mysteries here, but it is manifest in dozens of places in the Bible that God wills that some things come to pass which he forbids in his Word. Finally, our confidence that we are tracking accurately with God in each of these leadings increases as we move from the bottom to the top of this list. Subjectively perceived declarations from God are the least common and most easily abused of all the ways God leads. Our confidence that we have known the will of God in this method will not be as great as in the other methods that relate directly to God’s written Word. Discerning what to do on the basis of biblical principle when we do not have a specific command for our exact decision will yield less confidence than when we have an explicit direction in the Bible. And the truth that God is sovereign and guides all things is the rock-bottom confidence under all others. It is a good place to rest. 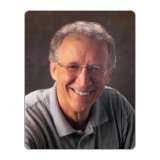 About the Author: Dr. John Piper is the Pastor for Preaching at Bethlehem Baptist Church in Minneapolis, Minnesota. He grew up in Greenville, South Carolina, and studied at Wheaton College, where he first sensed God’s call to enter the ministry. He went on to earn degrees from Fuller Theological Seminary (B.D.) and the University of Munich (D.theol.). For six years he taught Biblical Studies at Bethel College in St. Paul, Minnesota, and in 1980 accepted the call to serve as pastor at Bethlehem. John is the author of more than 30 books, including Desiring God, The Pleasures of God, Recovering Biblical Manhood and Womanhood, What Jesus Demands from the World, and Don’t Waste Your Life. DesiringGod.org provides a huge selection of God-centered resources from the prolific ministry of John Piper with free sermons, books, conference teachings, and articles like this one. Article Above adapted from John Piper. A Godward Life: Savoring the Supremacy of God in All Life. Sisters, Or. : Multnomah Publishers, 1997, 217-219. I often turn to what you call the “first implication.” Essentially, the fact that whatever God has planned for us is whats absolutely best for us. Its amazing how often humans think they know whats in their own best interest, when in fact we usually don’t.